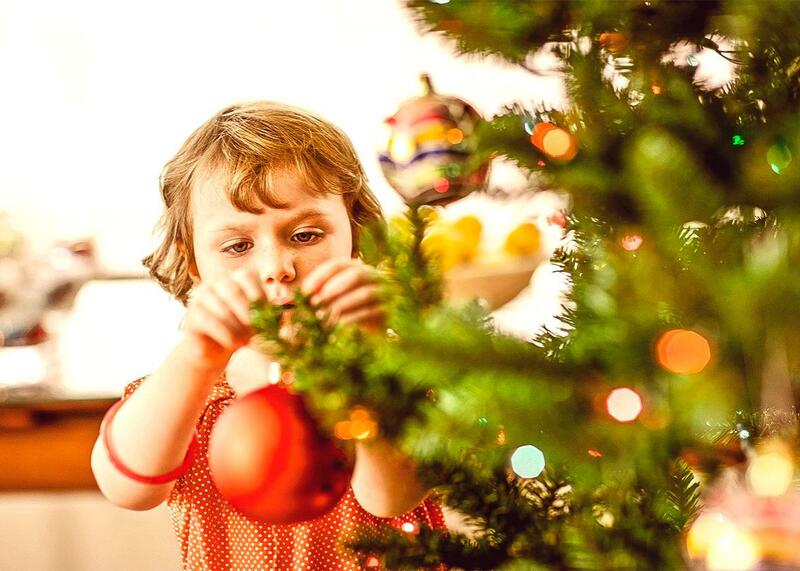 Christmas creep: Kmart and Ikea make holiday shopping a year-round phenomenon. An old retail plague is becoming a year-round phenomenon. The most wonderful time of the year is now about a third of the year. Wednesday is the first day of fall. You know what that means, ladies and gentlemen: It’s time to start Christmas shopping. 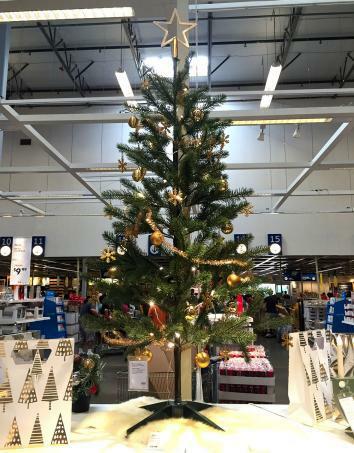 Ikea has caught the spirit, too, at least at its Emeryville location in the Bay Area: a three-aisle yuletide extravaganza with a fully decorated tree, caught on camera by my pal Stephanie Losee. Ikea Christmas, Sept. 20, 2015. Across the pond, Sean Tuffy, head of regulatory intelligence at Brown Brothers Harriman, posted a picture of the Christmas items for sale at Dublin department store Brown Thomas—on Aug. 27. More recently, the Washington Post documented the spread of Christmas creep by tracking the arrival of Santa Claus at Bethesda, Maryland’s White Flint Mall over the years. In 1985 the bearded gentleman flew in from the North Pole on Nov. 22, six days before Thanksgiving. By 2008, Santa took his first request on Nov. 14. Christmas creep may have a timeless and unfading ability to irritate us in part because social-media imagery so deftly amplifies our rage over small annoyances. But our irritation may also be cumulative: We’re simply seeing more of this kind of thing year-round. Back-to-school sales, which once began in late July, now happen before the July Fourth weekend. Costco now places Halloween costumes on its sales floor in July, three months before anyone other than a princess- or superhero-obsessed toddler feels an urgent need for an Elsa or Spider-Man outfit. And retailers ranging from Target to Petco have been putting Valentine’s Day–themed merchandise on display before Christmas. The motivation is the same as with Christmas creep: In an increasingly competitive shopping market, companies seek out any edge they can, resulting in a retail arms race. And surveys say at least a few customers appreciate it. Last year Bain & Co. found about one-third of us would say we either “like” or “love” early holiday marketing, with about one-third opposed to it. All things being equal, the stores try to woo the early birds. How do the effects of Christmas creep break down demographically? First off, women almost certainly feel it more than men. A Nielsen poll released last year found that 27 percent of women had already begun to pick up holiday gifts for loved ones by September, but only 12 percent of men had. Parents in general get the Christmas creepy-crawlies more than nonparents: A recent survey released by CreditCards.com found that 20 percent of moms and dads had purchased at least one holiday-season item before Labor Day weekend, as opposed to 14 percent of us overall. A majority of respondents earning less than $30,000 annually say they will complete all their gift-giving purchases by the end of November, while 71 percent of those earning more than $75,000 predict they won’t be done till the end of the Christmas season. This brings us to a hard truth about Christmas creep: The people who apparently feel the most pressure to participate in it tend to be the ones with the fewest resources. No doubt some September shoppers just enjoy being ahead of the curve, but it’s quite possible they need to be watching out for discounts earlier than more prosperous consumers. After all, it’s Kmart that’s running ads in September to promote a Christmas layaway program. Neiman Marcus, meanwhile, doesn’t debut its sumptuous catalog filled with luxury items until October (pushing it back from its old September launch date). Maybe we should take comfort that eager merchants have yet to figure out how to make a buck off of at least a few celebratory days. Arbor Day, for example: No one is marketing Christmas trees in April—at least not yet.